SITUATED in Ireland’s northwest, Killea is a fairly typical border village. 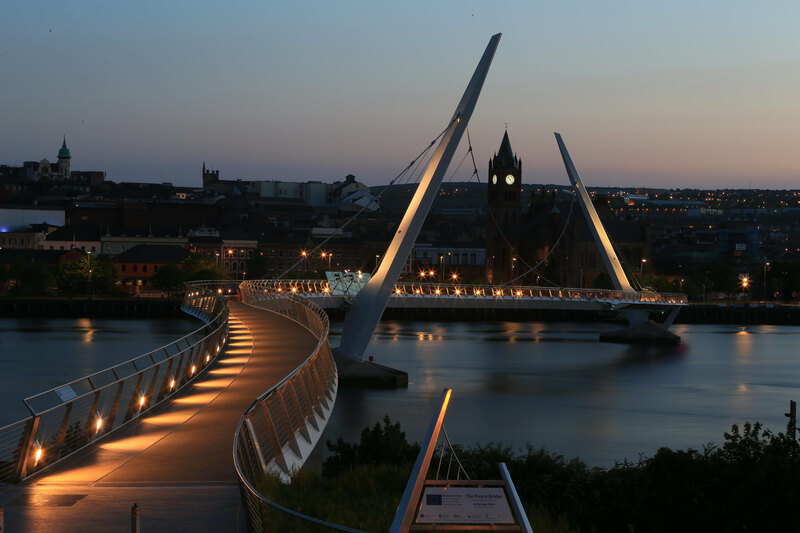 A short drive from Derry/L’Derry, it’s a commuter spot for Northern Ireland’s second city, causing a recent increase in population. The village’s most distinguishable characteristic though, is that its streets and houses stretch across two separate sovereign states: the United Kingdom and the Irish Republic. The multi-jurisdictional reality of life in Killea has been a non-issue for locals since the late ‘90s when the border fully opened. Brexit, however, has created unease over what the future holds. Michael Doherty is a timber merchant based in Killea. A small river which flows around his business marks where the border physically lies. He told The Detail about the practicality of running a company in such a location. “We straddle the border, so we work north and south, covering Donegal, Derry, Tyrone, Belfast, Dublin. Wherever we can get work, we take it,” he said. “We also import an awful lot of timber from the north, from England and from the south of Ireland. We work throughout the country, both selling and buying. “We don’t actually see a border, except on paper for VAT returns and things like that, but not for day to day work. Mr Doherty is concerned that a more physical manifestation of the border will impact upon his drivers’ delivery speeds amongst other things. “Our customer base, who are north and south as well, they will have to go through a border checkpoint to get in or out. “A lot of people won’t want to do that. They’ll just find it’s easier to go somewhere else. I’m hugely concerned about that. “I think that would be a typical view of people north and south in the border areas because it affects both sides. “It also affects residents north and south for commuting day to day; children going to schools, buses, travel, it affects every facet of our lives in these areas, but business more so than anyone. For the majority of people living close to it, the border has represented something that exists politically, but has been virtually invisible in everyday life since the Good Friday/Belfast Agreement was passed. 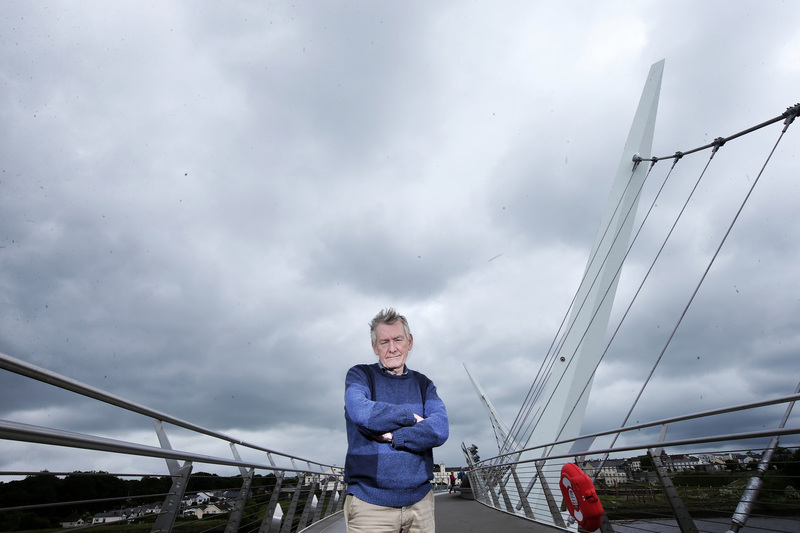 Denis Bradley’s life is reflective of an existence which chimes with many border dwellers. Born in Buncrana in Co Donegal, but schooled in Derry city, much of his family remains in the county of his birth while he resides and works on the other side of the border. 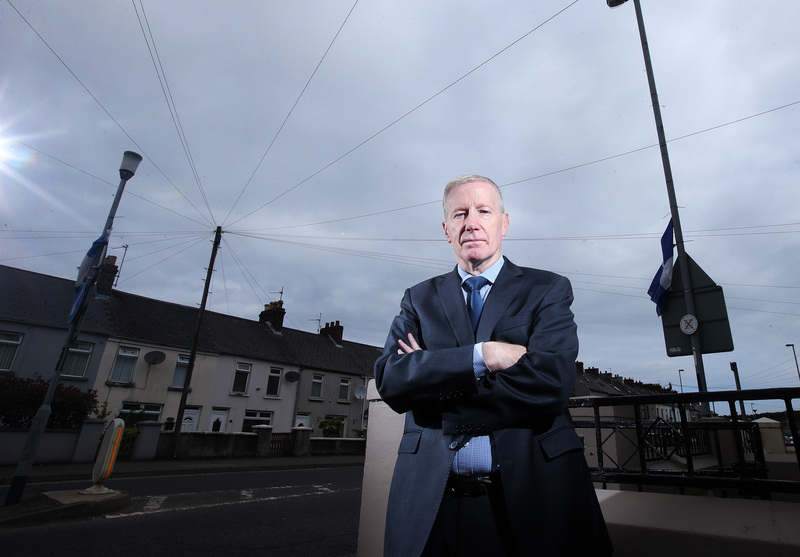 Formerly a figure of influence in the peace process, later a vice-chair of the Policing Board and then joint-figurehead of a task force devising plans to deal with the legacy of the Troubles, he possesses a raft of experience across a wide array of fields. Mr Bradley told The Detail: “I’m as near convinced as a human can be that it’s impossible to put a hard border in place. “It’s hard for people who haven’t lived along the border, or who haven’t lived in a place like Derry or along the border in Donegal. “I don’t know if people outside of that fully understand that there is kind of a change in the mentality and the expectation of people. “There is a moment in the affairs of man when things change very fundamentally. When the army and the police went and the border opened up, which was nearly 20 years ago, there was a deep, deep freedom in that. “There is a deep difference in that and a deep change in the psychology, in the geography and in the expectations. “That being the case, I don’t know how you put border checks back. I just don’t think that the people would accept it. “This is probably extreme but I’m going to say it anyway, it’s like trying to put apartheid back into South Africa. Maintaining a hard border, he said, would require the unrealistic prospect of either the police or the army managing it. “I think it’s very interesting that the PSNI have been quietly, but very determinedly saying, ‘we can’t do this, we can’t police this situation, this is beyond our capabilities’. Mr Bradley doesn’t subscribe to the view that Brexit will cause a surge in political violence as he detects little public appetite for a return to conflict. He also believes that people, particularly the nationalist community, don’t comprehend the rationale of the arch-Brexiteers inside the British government: “Underneath that though, there is a bit of shock at the DUP,” he said. “The nationalist population was already very angry with them, but they are kind of shocked by them now. “It’s as if there is no recognition that there is a big community of people here who just resent the whole possibility of any kind of infrastructure which looks like a border again. “There’s almost like a gap which is beyond the divorce situation, people who were forced together, then divorced from each other, but who are now way past the divorce. “There is a deep, deep cynicism regarding the DUP. People wonder; how could they do that, how do they not recognise us, how do they not see us, how do they not understand anything? “They may have their own position but good God, human beings are capable of carrying two stories at the one time. As a figure intimately familiar with the politics of the peace process, he feels that the Brexit climate will increase discussion of Irish reunification and the permanent ending of partition. “The change has been deeply psychological. It’s not so much that nationalists are clamouring for it tomorrow, but there is no going back to some kind of flip-flop, flim-flam of this or that. 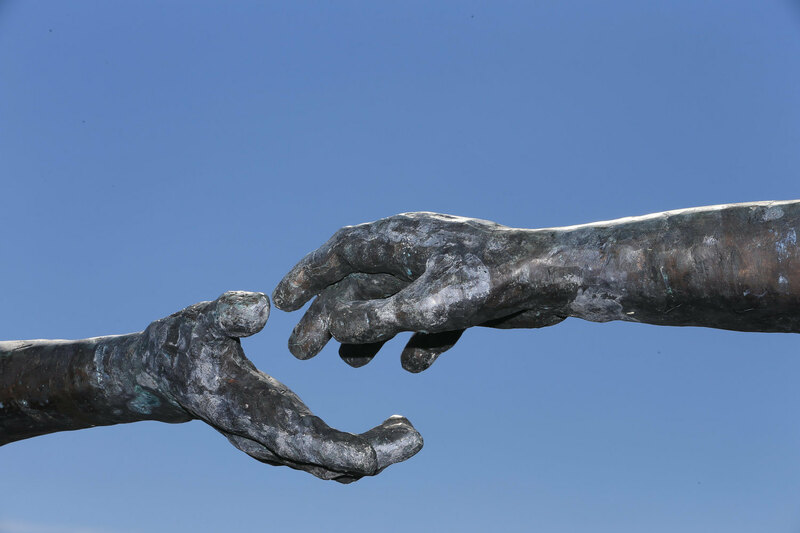 “The debate has now got to be in the broad discussion around what unity looks like. 100 years ago nationalism had to adapt to living within the British system and I think Brexit means now, somewhere down the road, unionism is going to have to begin to adapt to Irish unity. “Thankfully they’re not going to be forced to do it, but that they are going to have to come to some growing realisation that nationalism is now so far out and is so dominant. 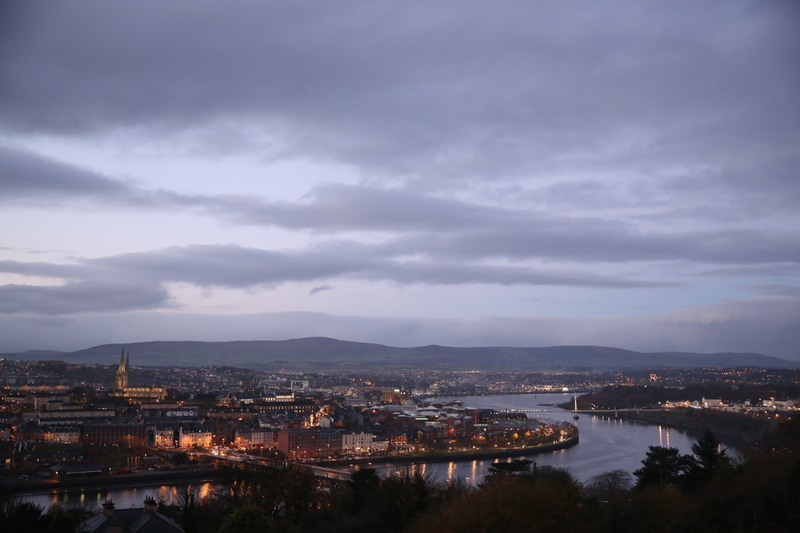 Gregory Campbell was brought up in the Waterside in Derry/L’Derry city. The prominent DUP politician has been the Member of Parliament for East Londonderry since 2001. Mr Campbell’s party has long opposed UK membership of the European Union. Now the Westminster arithmetic has left Prime Minister Theresa May reliant on DUP support. He spoke with The Detail at his constituency office, championing the positives of Brexit for Northern Ireland whilst attempting to dispel what he sees as unsubstantiated fear mongering by ardent remainers. The politician does, however, understand why there is some apprehension. “Part of the reason for that are the disgraceful and unwarranted comments that some people have made. “Tony Blair and John Major, who came to the peace bridge in Londonderry on the week of the referendum, quite disgracefully, said a vote to leave could create violence in Northern Ireland. In an effort to quell anxiety over the future of the border, he added: “There’s not going to be a hard border, there are not going to be large infrastructures and there are not going to be cameras and customs posts. All of that is not going to happen. Mr Campbell feels that Denis Bradley’s assertion that Brexit will ultimately lead to the breakup of the United Kingdom is misguided. The Irish government has said it is working to diminish the impact of any Brexit settlement on the island of Ireland. But, Gregory Campbell added: “If they had been confined solely to ensuring the benefits of business within the Republic, they would have been entirely understandable, but they seem to have allowed themselves to have been used as some sort of greater pawn. He also conceded that the UK should be further along with trying to sort out the Irish border. “Unfortunately some of the discussions have been quite difficult,” he said. “The EU has dug its feet in, in terms of proposals, but you expect this. This is something, remember, that no nation state has ever done before. “We are in uncharted territory. That’s what happens when you are in this kind of territory. We will get there in the end, be it another year, 18 months or thereabouts. Mr Campbell continued: “My guess is that people will simply disregard what they see as a very unstable, uncertain period leading up to Brexit and then life continues thereafter. “I think Brexit will open up opportunities, not just for the northwest, but the whole of Northern Ireland, particularly with the close proximity to the EU. “There will be business opportunities now for people who want to expand into the UK, into the EU and beyond the EU. The expanding markets outside the EU are exactly that, they are expanding, whereas the EU as a percentage share of world trade is contracting. “We just need to ensure that businesses here are prepared to take advantage of that. It can be a win-win, and hopefully it will be. Ruairí O’Kane is from Derry but lives in the Donegal village of Muff. Working in the north, but living in the Republic, there are days when he repeatedly crosses the border. While previously working as a journalist, before becoming head of the SDLP media operation, he has long since moved into public relations. Driving along the border roads which Derry and Donegal share, Mr O’Kane talked to The Detail. “After I got married my wife and I have lived in Donegal, for a nice quality of life and being so close to all different types of amenities,” he said. “What we have found is that we have enjoyed the best of both worlds. We work in the north but we enjoy the peace and quiet of rural Donegal, with its lovely beaches, for example, on our doorsteps. “I count myself as a proud Derry man, I’m a massive Derry City Football Club supporter but I’ve found since I’ve lived in Donegal that I cheer for them when they’re playing in the All-Ireland as much as I cheer for Derry. According to Mr O’Kane, people in the region have legitimate fears about the impact that Brexit could have on the border. He said: “After the Brexit vote, overnight I took a 10-15% pay cut and it meant my mortgage had gone up. “On a purely practical level though, driving in and out of Donegal and Derry yesterday, for example, I think I did that drive, over and across what would have been the border 6 or 7 times unhindered. “What happens in the future? Am I going to have to stop every time I nip in and out of Derry just during my day to day life? He criticised the Conservative party for adopting what he described as a ‘little Englander’ approach over Brexit, feeling that in the long run, like Denis Bradley believes, the referendum’s result threatens the constitutional position of the United Kingdom. He said: “They appeased the Euro-sceptic wing of the Tory party but they don’t see what damage they are doing to what is their own precious union. As EU leaders meet this week to discuss ongoing negotiations with the UK, a decision over the future of the Irish border is yet to be made.